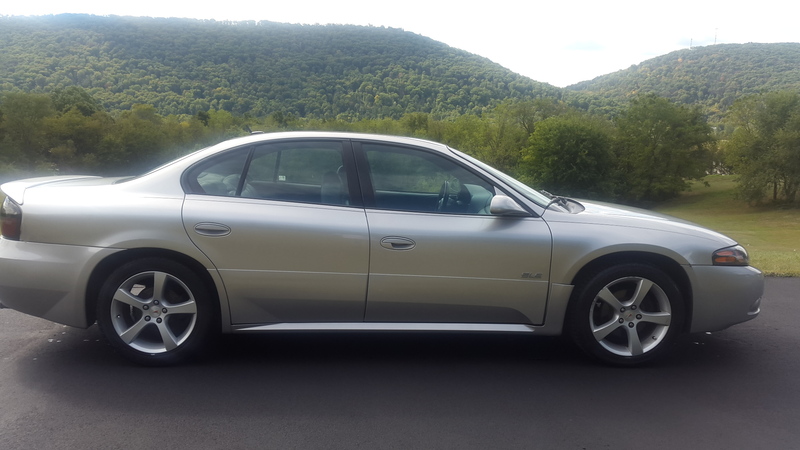 My 2005 Bonneville SLP or GXE? 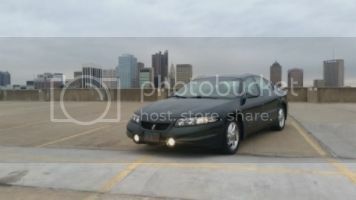 Post subject: My 2005 Bonneville SLP or GXE? 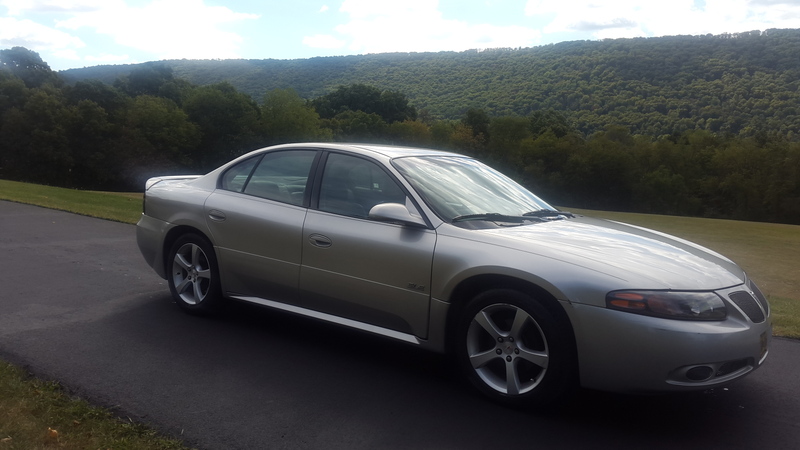 Finally finished the conversion to make the exterior of my 2005 Bonneville SLE look like a GXP less the emblems. So does she qualify to be called a SLP or GXE? 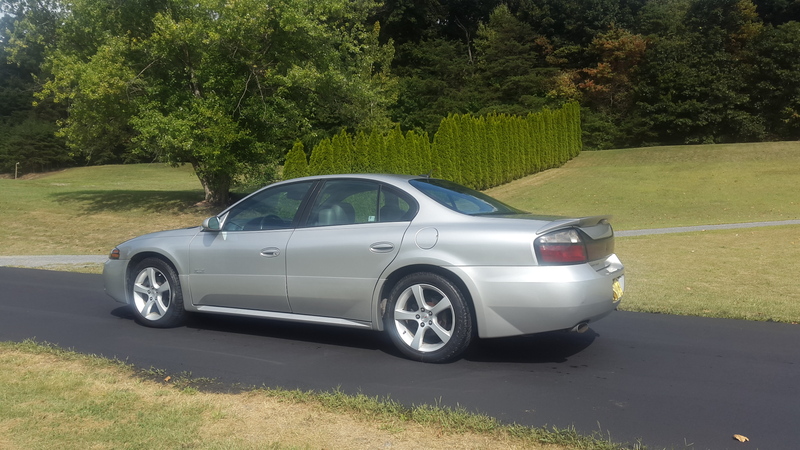 Post subject: Re: My 2005 Bonneville SLP or GXE? What all has been done to it, aside from the wheels? Just the wheels and the spoiler. 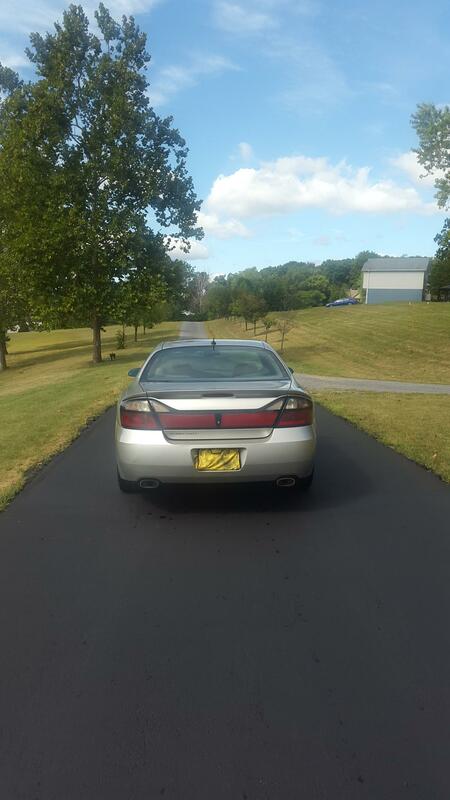 The ground effects, front and rear bumpers on a 2005 SLE are the same as the GXP. The spoiler, although easy to replace, was tedious and took way more time than planned as removing the old adhesive on both the trunk and the replacement spoiler took a great deal of time (I did not want to screw up the clear coat). Also, had to order the special 3m adhesive tape, was not available locally. 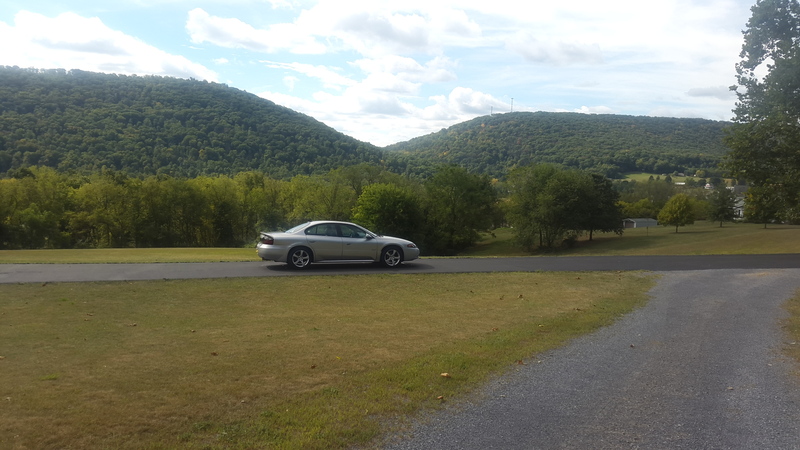 Missing the GXP exhaust tips and brakes haha. Looks good though! Gotta say, that's a slick looking ride. I do like those stock rims...they are second to the split 6 chromes with the gear graphic center caps for me. Not bad! Looks good. Would have me look twice. 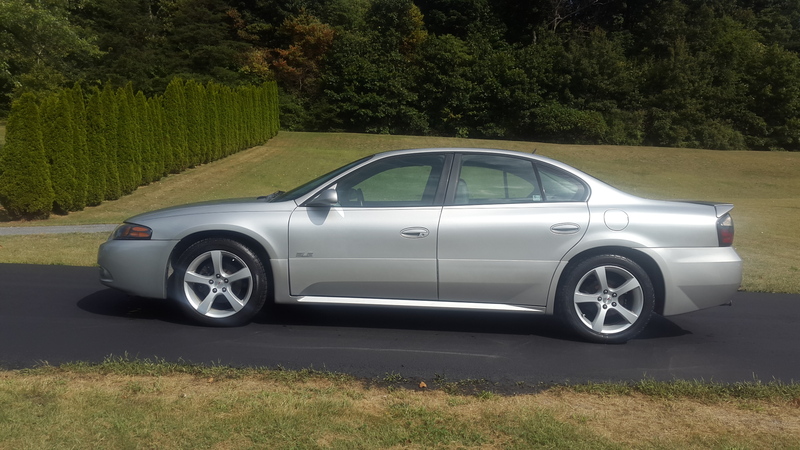 Looks just like a 2005 SLE with GXP wheels. Thanks, maybe I should of changed out the exhaust pipes, overlooked that. I thought the GXP spoiler update was the key item to change, but I can see how the exhaust pipes make a big difference. This was just a fun little project, although I did spend half a day trying to remove old adhesive tape trying to prevent paint damage. Maybe I will look at swapping out the exhaust tail pipes and removing the SLE badges. I like that best "SXE" ! Car looks very nice. Pretty country there - where is it? Well, nevermind...those links are broken. I should have checked them before posting. But you can still search for Silverline TK9002 and TK9003 - there's a left and right side. "Car looks very nice. Pretty country there - where is it?" Thanks, it is the Appalachian Trail part of Pennsylvania. In the summer quite a few people are walking through the mountains from Georgia to Maine. These hikers live very primitive, kinda cool. When I see them I always try and give them a snack, Gatorade, etc. The Appalachian mountains in this area are very old/ mature, and have become somewhat fertile for vegetation. They have worn down over millions of years and are covered with trees. 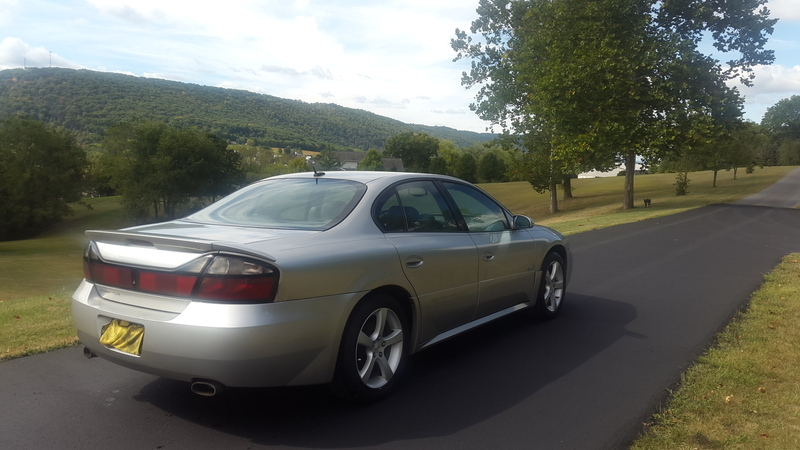 My just purchased 2005 Bonneville SE!